Cute Cute is a relatively young family-owned designer brand that was founded in 2012. It was established by a mother of two kids, Magda Haroon. Together with her team of local designers, the founder of the brand launched several collections of kids’ accessories made from the highest-quality materials. Every item features a thoroughly thought design to follow the recent trends in kids fashion. All of the accessories are different and absolutely unique, just like your little ones. The process of production lasts for several weeks with each element being carefully chosen for the creation of unique accessories made from the finest materials from all over the world. At the beginning of the founder’s career, the brand supplied local stores and boutiques, but the word of mouth raised a need to expand the production and go internationally. Today, the products of the brand are distributed not only nation-wide, but also all over the globe. For the past four years, the family business was home based, but owing the support of local designers, the brand’s production is now sold in a brand-new local boutique, while the workshop is located in Handforth. The brand is proud of delivering high quality headbands and other accessories to little princesses who want to look their best in any situation. The brand’s designers have recently widened the variety of casual everyday accessories and nowadays they offer stylish handmade headbands and school bows to make every girl look astonishing at school and during outdoor activities. The aim of the brand is to provide personalized services to every customer to make the little ones feel that they are special day after day. Cute Cute remains a leading distributor of lovely accessories for girls of different age groups. Young customers absolutely adore wearing the headbands produced by the brand. The products of the brand are ideal for Christening and other special events as well. The designers of the brand are trying to make sure that every item is produced from the highest-quality materials that are totally safe for the health of little children. Furthermore, close attention to details has helped the brand to stand out from the crowd making little ones look exceptional and not resemble anyone else. 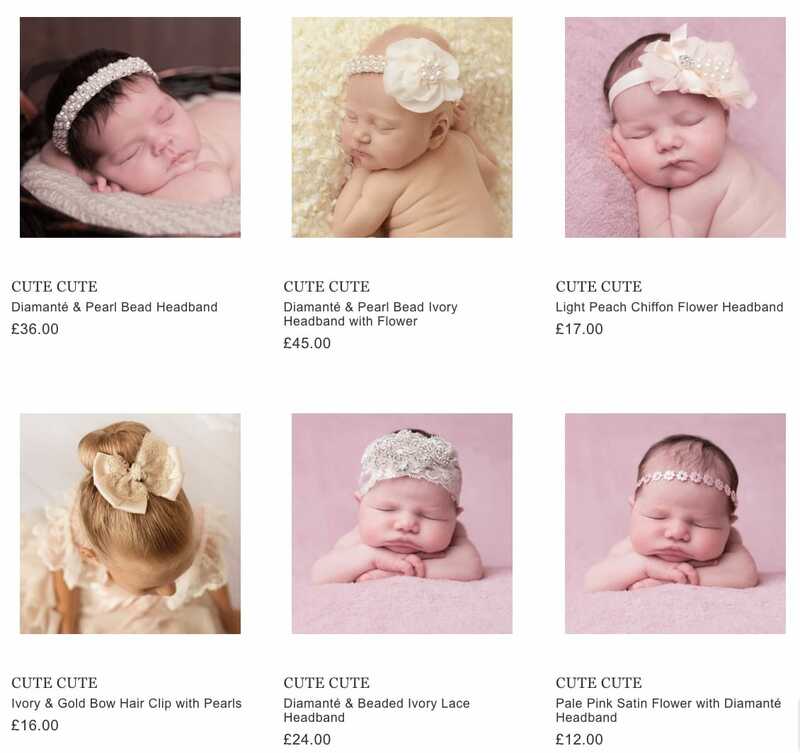 If you choose to buy the accessories of Cute Cute, you will ensure that your little princess looks adorable and lovely in any situation, be it Christening day or other special event in the life of your child. The accessories can also be worn on a daily basis to diversify the looks of your child and make her feel good and look great at the same time. Don’t hesitate to look through the collections of children’s accessories offered by Cute Cute and you will surely find something exclusive and luxurious for your precious one. The brand’s designers are trying to make sure that every item is unique of its kind and does not resemble the works of other fashion designers. By choosing Cute Cute, you choose high quality of materials and exceptional design that makes every girl look incomparably cute and lovely. The accessories are available in a variety of colors and color combinations for you to choose the most suitable one to match the outfit of your child. Every item is distinguished by characteristic style to reveal the individuality of your kid and instill a good taste in your little princess. Cute Cute is now available not only in luxury fashion boutiques of its country of origin, but also in online shops where you can find the accessories of the brand for a highly affordable price. Check out the collections of the brand to make a perfect gift for your precious one!